Attending a friend’s 50th birthday party in Helsinki on Saturday, gave us a welcome short break to stay in the capital for the night. 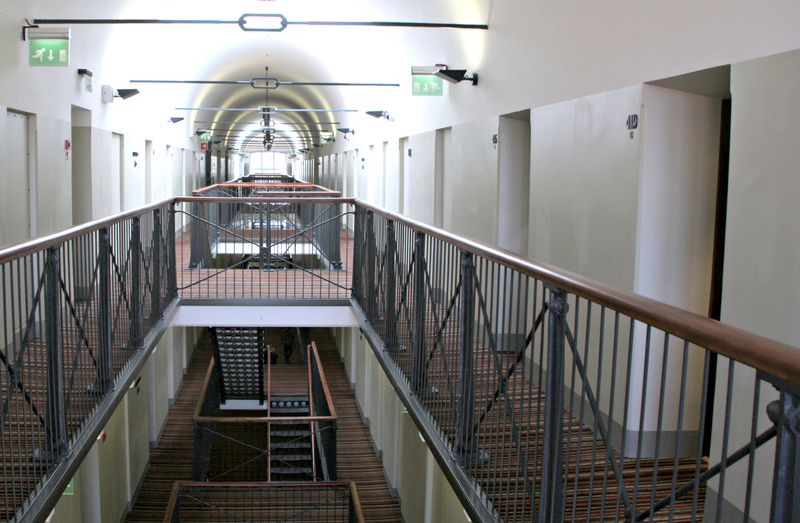 I had heard about the Katajanokka Prison Hotel from a friend earlier, and it certainly sounded worth a try. Not cheap but not the dearest either, bearing in mind the fairly elevated Helsinki hotel prices. Entering inside the red brick walls felt ominous, to say the least. And soon enough, we were LITERALLY behind bars! And the same quite authentic prison atmosphere continued inside the building. Beyond the reception, the corridor was almost exactly as you might have expected it to be when the prison still housed inmates, as late as the early 2000s. I expected the doors open any minute, to let the prisoners out for a walk! The refurbishment was well done, respecting the history of the building. We had chosen the cheapest and smallest possible room, without a bathtub, but found it very comfortable and fully equipped with an iron, and ironing board, hairdryer, minibar and free wi-fi. 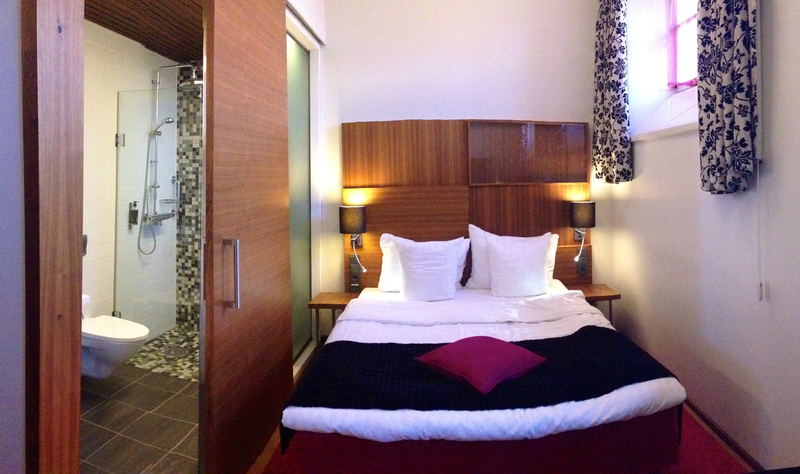 A nice touch was the kettle and tea and coffee provided in the room plus free wi-fi, which are rare in Finnish hotels. Even if small, somehow the height of the room made it seem airy and comfortable. And the out of reach windows high on the wall let my imagination run wild, conjuring up plots of escape. We definitely had a good night’s sleep, and didn’t hear a peep from anywhere, possibly thanks to the extra thick prison walls. One word of warning, though – do close the curtains as the shadows on the walls from the night lights outside can be rather spooky! However, in the morning it is good to open them again to enjoy the first light streaming through the pink curtains. Breakfast was served downstairs in the windowless, candle-lit basement. 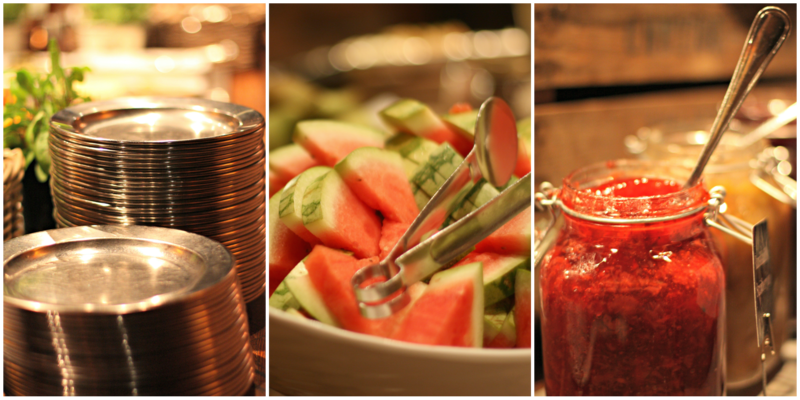 They still use the old metal plates and mugs but the breakfast itself was a full Scandinavian-style buffet with something for many different tastes. Especially nice was the selection of different jams in rustic glass jars, and the open kitchen with the chef waiting to fry your eggs on demand. In the restaurant area, you can also visit an original isolation cell and a group cell from the 19th century. Anyone staying in them definitely didn’t enjoy any mod cons or creature comforts! It was nice to see that the prison theme was utilised in different parts of the hotel. For example, using one of the city bikes provided at the entrance, made you ‘a runaway’, and at the reception, you could buy theme-related souvenirs, such as mugs or even pairs of hand cuffs. All in all, this commercialisation of the theme was done in good taste, not forced down your throat, in my opinion. I can warmly recommend this hotel to anyone interested in something other than your regular hotel chains. 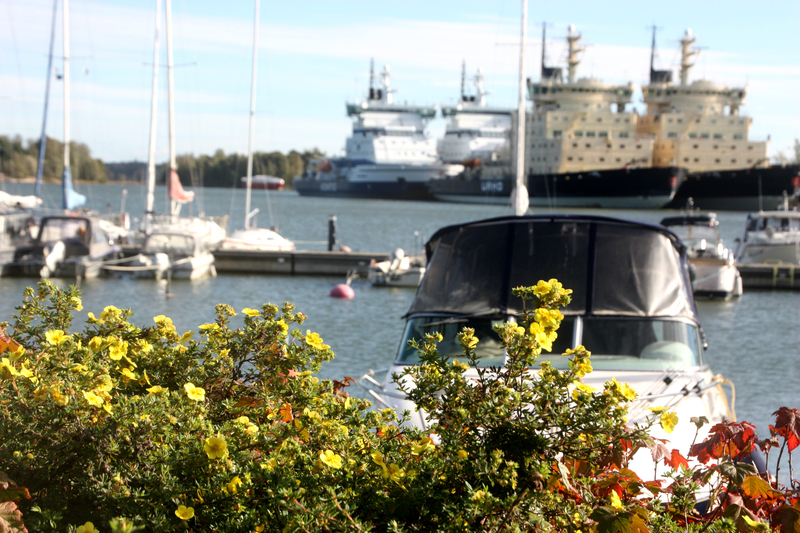 The icing on the cake is the location in the charming neighbourhood of Katajanokka, a small island, separated from mainland Helsinki by a narrow canal. 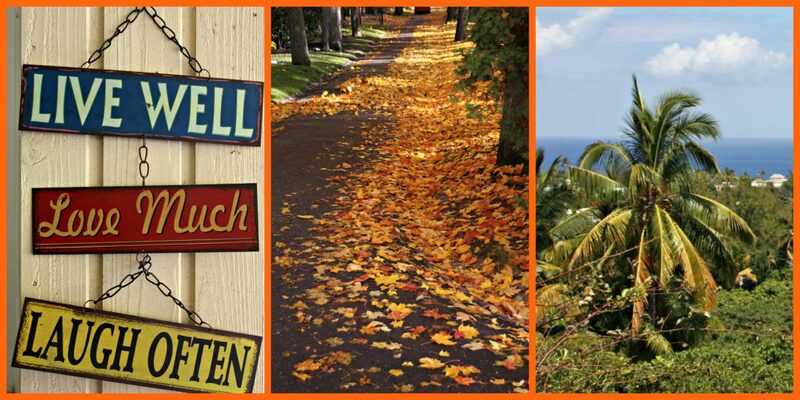 Weather permitting, it’s a good idea to walk around the island along the seaside path. 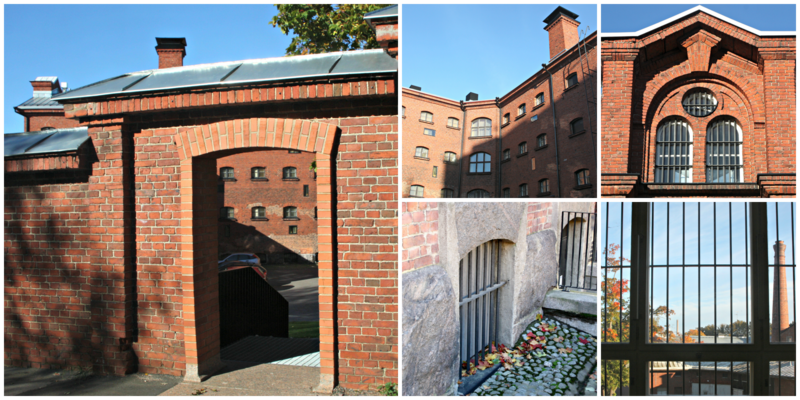 Not only can Katajanokka boast with a lot of beautiful Jugend-style architecture, but it is also home to the Finnish foreign ministry in an originally Russian army building, and the huge Russian Orthodox Uspenski Cathedral. We were lucky, and took a leisurely stroll back to the railway station. Managed to get some more vitamin D for the winter in the gorgeous autumn sunshine! Categories: Finland, Travelling makes me happy | Tags: Finland, Helsinki, hotels, travelling | Permalink.